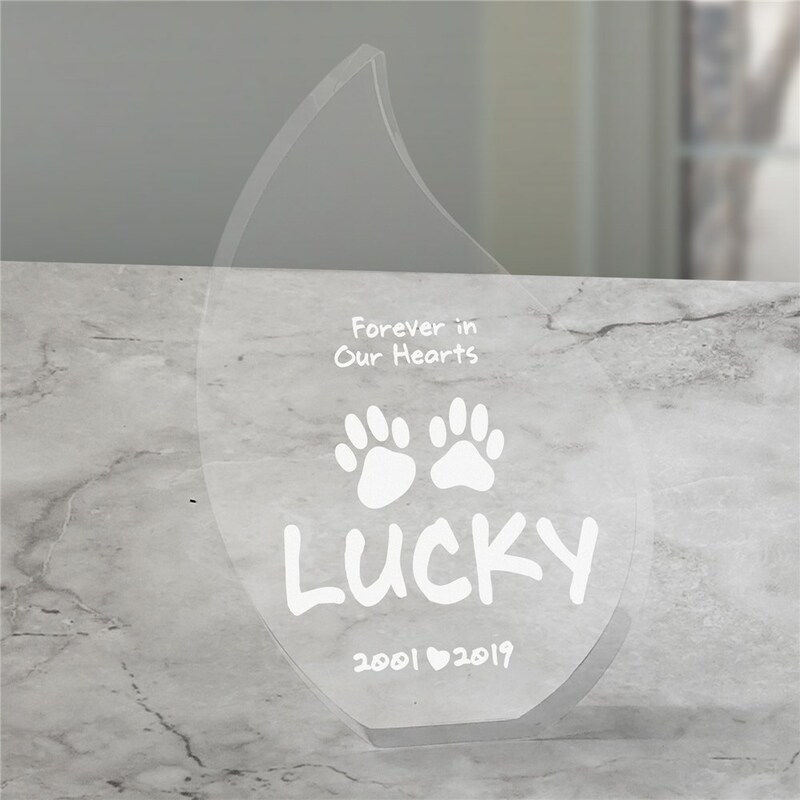 Our Engraved Forever In Our Hearts Pet Memorial Keepsake creates a beautiful way to remember your beloved pet. This teardrop designed keepsake is sure to bring back all of your cherished memories with your loving friend. Our Personalized Memorial Tear keepsake may be engraved with any name and rest dates. Very attractive piece. I believe it had the desired affect on my sister and brother-in-law. It is big enough to be noticed but not so large as to be obtrusive. Additional Details Shop our selection of pet memorial gifts to find a fitting way to remember your favorite pet.